- Are you an absolute DOG LOVER? - Is your dog your BEST FRIEND? - Would you love to have your dog IN PRINT? - COMPLETE THE FORM - To have your four-legged family members included in WOOF! simply requires the completion of the following application form. - WE'LL give you a call and chat to you about you and your connection to your Woofer. - MEET to plan and design your exciting photoshoot. PLEASE READ THESE TERMS & CONDITIONS CAREFULLY BEFORE PROCEEDING: Copyright: All photographs taken by Ella+Friends Photography are protected in Australian by the Copyright Act 1968 and by applicable legislation in other jurisdictions. All rights are reserved. Model Release: Should I be successful in my application, I give Ella+Friends Photography the unrestricted right and permission to copyright and use, re-use, publish, and republish photographic portraits or pictures of me or reproduction hereof in colour or otherwise, made through any and all media known for illustration, art, promotion or advertising. I also relinquish any right that I may have to examine or approve the completed product or advertising copy or printed matter that may be used. 1. Nomination is by way of a acceptance for one of the E+F team. This entitles you to one (1) double page spread in WOOF!10. 2. It is a condition of nomination that all copyright is assigned to Ella+Friends Photography. Any images captured may be used for promotional and display purposes. 3. I understand that an image/s from my photoshoot will be published in the WOOF! coffee table book. 4. I also understand that images may be used in any other related promotion or merchandising. 5. Copying of images/prints by digital, electronic or traditional means is not permitted. 6. The registration does not include the supply of any images. Images captured during your session will be available for purchase at the purchasing appointment. 7. Only one purchasing appointment per photoshoot can be allocated. 8. Photography from outside sources will not be included in the book. 9. Only one session will be allocated per family booked. 10. The final layout and artwork choice will be at the discretion of Ella+Friends Photography. Care will be taken to ensure all dogs names will be included with the correct spelling however no liability taken for omissions or mistakes. 11. Participation is by way of completing a Nomination Form. 12. If accepted we ask that you donate, a sum of your choice, to a dog rescue group of your choice, directly. If you are registering two or more dogs, these must reside in the same household. What is the best time between 10am and 7pm to call you regarding this application? Please tell us why you would like your dogs to be photographed for WOOF! 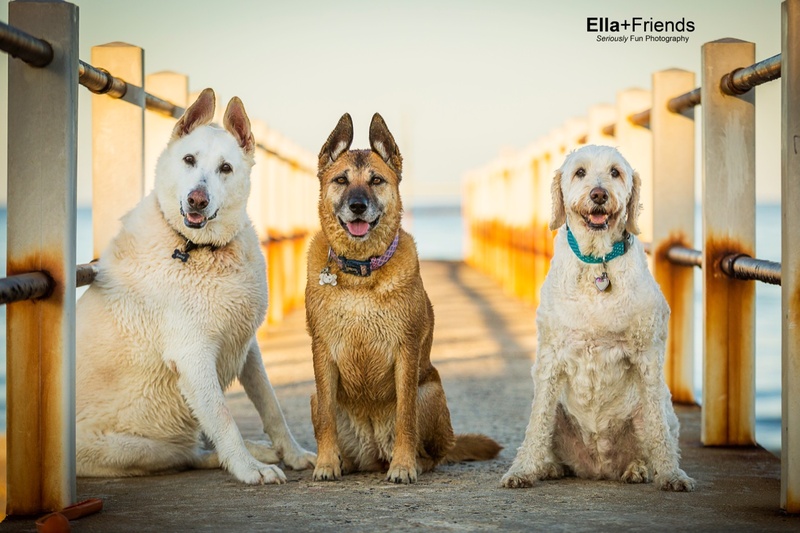 How did you hear about ELLA+Friends and the WOOF project? Which Vet do you take your dogs to? If there is an additional owner, please ask them to complete this section - What do you specifically love about your WOOFer/s? WOOF! - a Limited Edition Coffee Table Book will be available to purchase for $149. Are you interested in purchasing a copy? Yes I would like to purchase a copy. No I am not intending to purchase a copy thank you. Are you considering additional images from your photo shoot for your home? We have received your application and will contact you shortly for a chat.